The Foundation for Wallingford-Swarthmore Schools Board, embracing the spirit of innovation and educational excellence within the School District, unanimously voted fund two major projects to benefit the students of the Wallingford-Swarthmore School District. The Board worked in conjunction with the School District’s Office of Curriculum and Education to identify the needs within the district. The first initiative, to fund and improve Classroom Libraries in grades 3-6, underscores the critical role daily exposure to literature plays in the lives of our children. Research has shown the benefits of providing students with a literacy-rich environment, which includes a diverse, differentiated and well-stocked classroom library. Access to quality texts in a variety of genres improves students’ reading skills and provides students with options of engaging reading materials, and helps them develop a lifelong love of reading. The Foundation will fund collections of books in classrooms to allow for differentiation in the language arts classrooms, ensuring that every child has access to books appropriate for his or her reading level and interest. The Classroom Libraries project will help teachers to successfully institute “book clubs,” “reading workshops,” and “literature circles” in classrooms. The second major project that the Foundation will be funding is the establishment of a comprehensive Middle School Robotics Program, which will build on the success of the Strath Haven High School Robotics Team. Research has shown that early exposure to robotics helps students build an interest in STEM topics, which are crucial to today’s scientific literacy. Through teacher grants, the Foundation has also funded a fifth grade robotics program and then funded a pilot robotics program in the fourth grade. The success of these programs led to the need to establish a robust middle school robotics program. 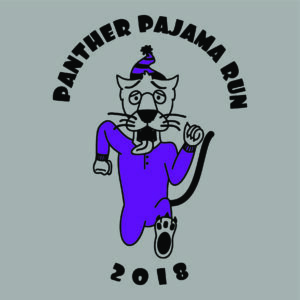 The Foundation is able to fund these major projects through successful fundraisers such as the Panther Pajama Run and Pancake Breakfast (which is held in November each year), Arts4Smarts (which was held for five consecutive years through 2016), A Golf Outing (to be held for the first time on May 15, 2017 at SpringHaven Country Club), corporate sponsorships, United Way donations (donor code: 49418) and individual contributions. In addition to funding these major projects, the Foundation will continue to fund its Teacher Grant Program, which provides grants to teachers in all of the Wallingford-Swarthmore School District schools.